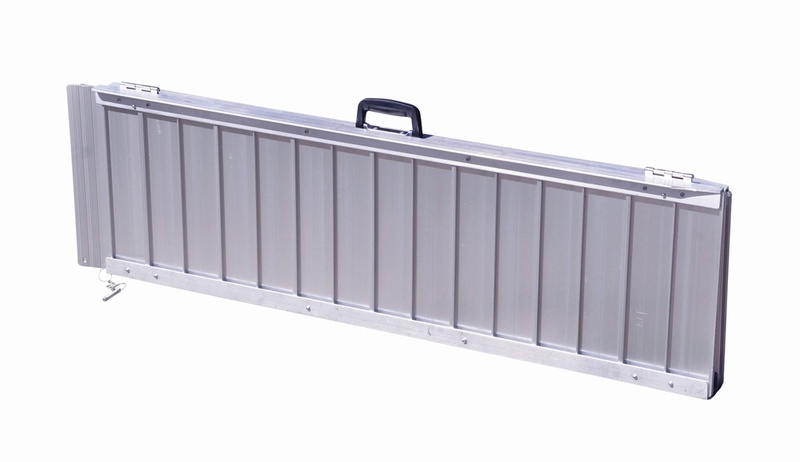 This durable, portable, Lightweight Suitcase Ramp is ideal for providing access to houses and cars for wheelchairs, scooters, walkers and rollators. The folding, suitcase type ramp is constructed from lightweight, rust-free aluminium and has milled safety treads on the surface, raised side walls and security locks, making the unit extremely portable and convenient to store. 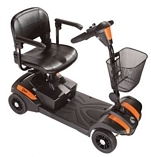 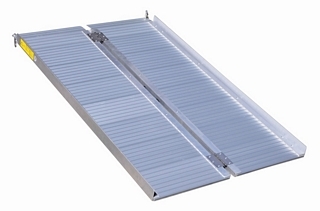 With stainless steel fittings and a sturdy carry handle, the ramp has a load capacity of 272kg (42 stone).